Political pundit Peter Beinart publishes in HAARETZ his critique of John Kerry’s shift in Israeli-Palestinian peace negotiations towards slowing independence for Palestine. HAARETZ / Peter Beinart: “As John Kerry’s bid to broker Israeli-Palestinian peace approaches its moment of truth, you can sense the desperation among liberal Zionists. 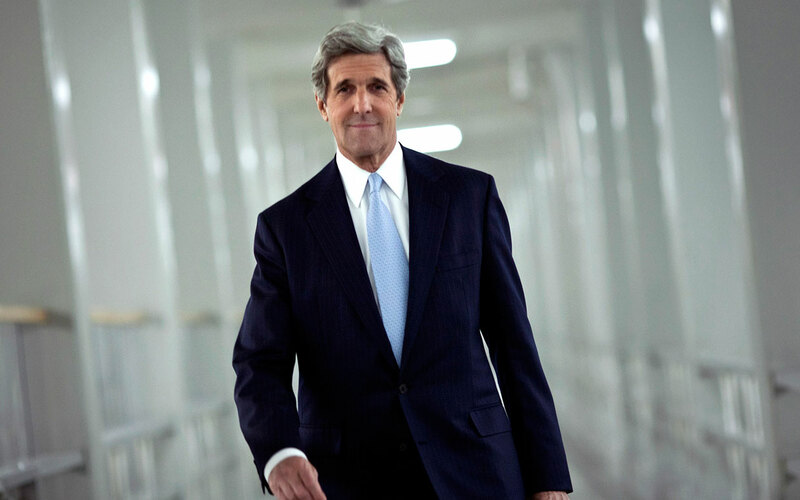 “Kerry’s mission is the last train to a negotiated two-state solution,”declared Thomas Friedman in January. I get it. You have to be blind not to see that liberal Zionists—those of us who believe in the legitimacy of a state dedicated to Jewish self-protection and the illegitimacy of Israel’s unjust, undemocratic control of the West Bank—are losing ground to one-staters at both ends. Kerry’s failure, which might spell the end of the American-led peace process itself, could turn that retreat into a rout. But there’s a problem with being desperate for a deal: You lose your leverage over its content. Kerry and the rest of the Obama foreign policy team know that if they present a framework that Benjamin Netanyahu dislikes, he and the right-leaning American Jewish establishment will make their lives miserable. If, on the other hand, they present a framework that tilts against the Palestinians, the resulting Palestinian outrage will be far easier to withstand. That’s partly because Palestinians wield little influence in Washington. And it’s partly because we liberal Zionists—desperate to see Kerry succeed—have given every indication that we’ll support whatever he serves up, the particulars be damned. The consequences of this political imbalance have been quietly playing themselves out for months now. Numerous press reports have suggested that Kerry is contemplating a framework that offers the Palestinians substantially less than what Bill Clinton offered them in December 2000 and what Ehud Olmert offered in 2008. The Clinton parameters, for instance, called for Israeli troops to leave the Jordan Valley—the twenty-five percent of the West Bank that abuts its border with Jordan— within three years of a peace deal. Olmert was willing to withdraw them even faster. Mahmoud Abbas is also reportedly calling for a transition of three to five years. Netanyahu, by contrast, depending on whose reporting you believe, insists that Israeli troops must remain for ten or even forty years. Read more of Peter Beinart’s full article published in HAARETZ.